With the arrival of new owners to the budget-hotel chain, taking over from Dubai International Capital with a debt-for-equity swap, the company have announced a restructuring to potentially halve their bank borrowing. Creditors agreed to the terms in a Company Voluntary Arrangement that cut the company’s total debt from £635 million to £329m. This is with £235m written off completely and £71m repaid by the new owners. The repayment date has been extended to 2017, with an interest rate of 0.25% above LIBOR until the end of 2014. The CVA agreement came after several months of uncertainty for the hotelier. Three key investors – Avenue Capital Group, Golden Tree Asset Management and Goldman Sachs – rose to the challenge of putting money behind the struggling chain. On top of reducing the debt that the company had, £75m of ‘new money’ has been injected into the company, £55m of which will be spent on a refurbishment project across 175 hotels and more than 11,000 rooms. The refurbishment will happen in early 2013 and be completed by summer 2014. As part of the agreement, the chain has agreed to reduce its current estate by 10%. 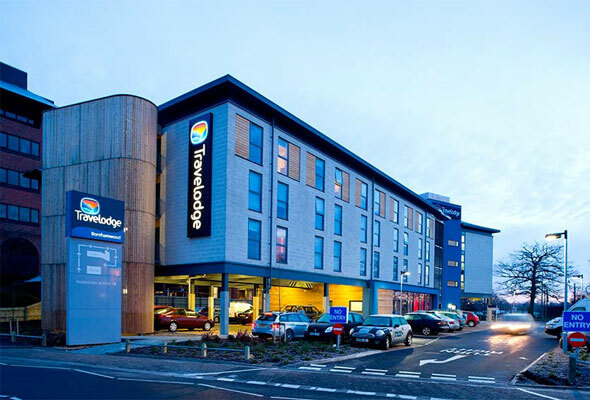 The company currently owns more than 500 locations and will see 49 hotels being sold from the chain, including the Travelodge Edinburgh West End, with 178 bedrooms. Landlords of 109 of the properties approved a 25% reduction in rent. More than 13 million people stayed at a Travelodge hotel in 2011, with 90% booking online. Travelodge was the first budget hotel chain to launch in the UK in 1985. It has since expanded to become a leading global hotel chain. I have previously been to Travelodge and disliked the service. Hopefully with the new refurbishments it won't raise the prices too much.